Looking for a bigger dog that will love you as much as you love him? Look no further than Yukon, our Animal Friends’ Pet of the Week! 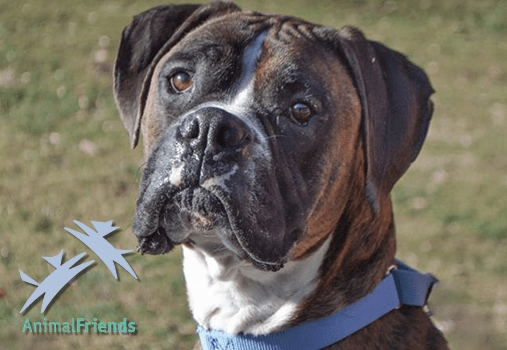 Yukon is a 3 year old Boxer breed. He came to Animal Friends with his brother, Kimber. They are great with each other, but not so much other dogs. Yukon can be shy when meeting new people, and enjoys sniffing and searching new areas until he’s comfortable! He would be best in a home with kids ages 15 and up, as he is a bigger dog. Yukon knows sit, stay, and come! He’s a very playful dog once you get to know him. If you would like to adopt Yukon, check out his page HERE. For all pets looking for a home, visit ThinkingOutsideTheCage.org.